Trevilla House B&B | Wake up to a beautiful view and an indulgent breakfast. Based just outside the village of Feock near Truro, Trevilla House B&B is a wonderful place from which to explore Cornwall, with both north and south coast beaches within a 25 minute drive and lovely woodland walks locally. Owned by quirky couple, Jinty & Peter Copeland, you can expect a wonderfully warm welcome and oodles of local knowledge, not to mention a truly tasty breakfast complete with fresh eggs from their hens and a nice dollop of Jinty’s homemade jam or marmalade with your toast. 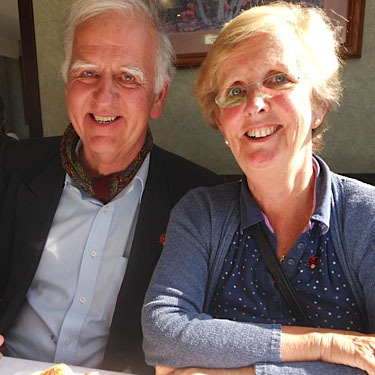 Having lived there for nearly forty years, Jinty & Peter really know the area well and will be delighted to help you make the most of your stay in Cornwall.